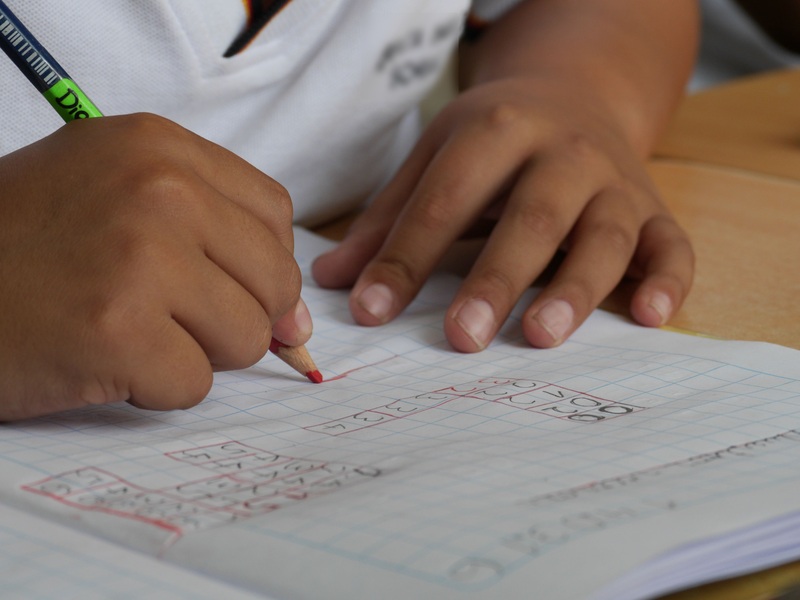 There's some good and bad news when it comes to your kids' math homework. A new study found that kids who take more math make more money than kids who don't, later on in life. So, good news if your child is killing it at algebra. If not, well, all hope is not lost, obviously. But it is some interesting data. The study was done by Harvard Kennedy School Policy Professor Joshua Goodman, who looked at high school students that graduated in the 1980s, when schools were required to increase coursework required for graduation. He found that many African American students were required to take more math and ace it — which resulted in higher incomes for the group later in life. About 15 years after they graduated, the average earnings increased about 10 percent for every single year of extra math classes. It's not like more math makes people smarter, Goodman said. But knowing basic math concepts helped "high school graduates to pursue and excel at jobs that required some level of computational knowledge." Goodman added, “Our efforts to increase access to high-quality science and math education likely do matter for people’s life outcomes." That's something to think about as the Department of Education makes changes to required curricula for schools — what students take matters. Goodman said of the results, "It just seems like a lot of things that many of us take for granted in life depend on being able to do some pretty basic computation." Then again, Goodman said that the uptick he saw in groups of 1980s graduates might have had to do with the economy. Remember, web and real estate bubbles and booms pretty much defined the decades afterwards. Much of the earnings boost he saw dropped off a bit after the Great Recession. However, it's still important for policy makers to understand the importance of math requirements. Goodman didn't see a huge earnings boost for white students — he believes that's because they were already at better funded schools that were already going way beyond the requirements for math classes. So local school boards play a major role in evening the playing field across lower and higher income-level school districts. Going forward, local policy makers will likely have an even larger role in the lives of students. Betsy DeVos, who is heading up the Education department, doesn't believe in the Common Core, which are federal standards for state curriculums. That means that states and school districts will likely be the final decision makers when it comes to how many math requirements students take. DeVos has, however, expressed more support for STEM programs in schools, going so far as to say that Donald Trump's second-quarter salary, which he donated to the Department of Education this month, would go towards math and science education. Hopefully, that's true. Now that there's more evidence that math can increase earning potential, hopefully students will get more chances to learn to love (or at least tolerate) math.